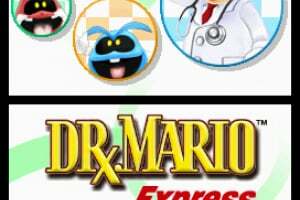 Mario once again dons his stethoscope to battle the forces of illness in this downloadable version of the classic puzzle game. 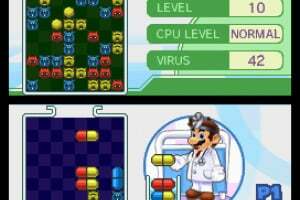 Use vitamins to eliminate viruses in Classic mode, or play against a computer opponent in Vs. CPU mode. 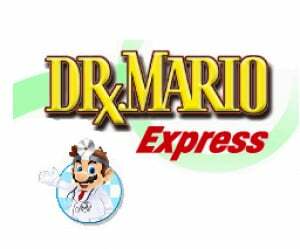 Make an appointment with Dr. Mario today. I haven't bought the WiiWare version yet but i probably will over this, just for the multiplayer. I have the WiiWare version. If the 500 Points STAY, I'm definitely getting this! It looks awfully small, and the lack of online or multiplayer makes it worse than the WiiWare version, but at least we know EXACTLY what we're going to be getting here. Well, i bought the WiiWare version...so i don't totaly need this. I was thinking about buying the Wiiware version but I'll just buy this because its 3 bucks cheaper. I'm not that fond of Dr. Mario, so I won't be wasting my time on this. It doesn't even have multi-player. We're massive fans of the wiiware version and will be getting the dsi version. 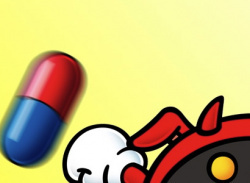 I'll buy Dr. Mario no matter how many times they rerelase it. I love the game. I have the Wii version and I'll be getting the DSi version. Awesome game. Yup i got it too for the Wiiware and cant wait for this one when it comes out in the DSiware as well! A fan of the wiiware version. I would love this on the handheld. I'll buy just for the hell of it. 9am on April 20th (USA, Eastern timezone) . . . not available yet. Don't tease me like this! Come on, Nintendo, DS download mode for multiplayer on a classic DS? I guess Ninendo is too afraid that people will cheat and/or hack and/or pirate the game - boo on you! Still, the fanboy in me is screaming "buy me now!" By the way, I am missing my 9:30 class right now, oh noes! Hurray, it's here! And it's FUN!!! 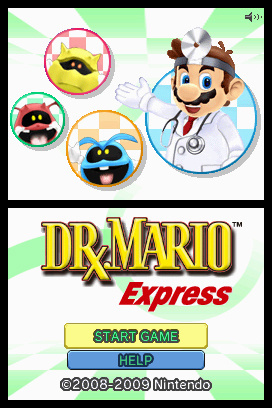 Looks like the best thing for me on DSiWare until that Flip game comes out. 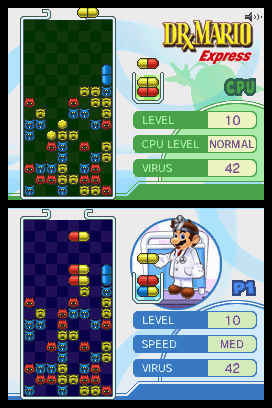 Sadly I'm not any good at Dr. Mario games. I did get the Wii Ware version however, it was my first Wii Ware game. I think it's still my only one. Anyway; I might have to pass on this, just because I'm not any good at the game. 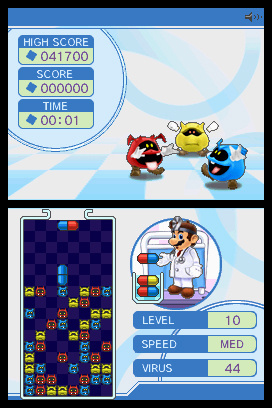 Still, Dr. Mario is pretty awesome! If only this were multiplayer... Oh well. It's fine by me. This game is so addicting... I just wish you could play 2 player or play online. I hope asphalt 4 comes out on DSiWare. Its really fun for the iPod. 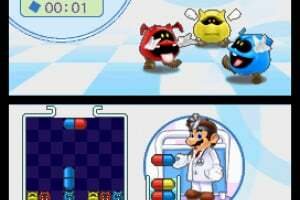 This game is good never played any Dr. Mario game before so i enjoyed it. WT...... Brain Age 2 used this song for Virus Buster. Good Times though. I should get this. It looks like an OK game. Its very addicting but needs multiplayer.